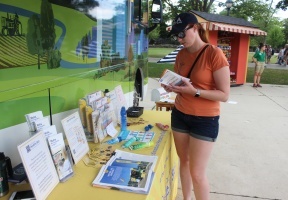 Destination: Healthy Skin made a stop at Brookfield Zoo on Sunday, July 29th to educate consumers about the importance of sun protection and reduce the cases of the world’s most common cancer. According to The Skin Cancer Foundation, it is estimated that 2,980 new cases of melanoma will be diagnosed in Chicago in 2018 and one in five Americans will develop skin cancer by the age of 70. 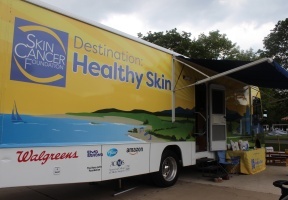 Walgreens pharmacists and trained dermatologists from The Skin Cancer Foundation were on hand to share tips on how to choose effective sun protection and provide free skin-assessment screenings. If you would like to learn more on how to maintain healthy skin, visit www.destinationhealthyskin.org.